Philippians 3:1-11 - Where Is Your Confidence? Philippians 3:13 One Thing I Do! John Cereghin - A conservative exposition. He defends Petrine authorship (xlixff); argues for the deity of Christ (619); holds that assurance in Scripture is doubly sure (622); identifies the elements as “the world’s component materials” (627); holds that Paul’s Epistles were already known as “Scripture” (628). Philippians 3:1-11 Lose Your Religion! Philippians 3:20 Where Is Our Citizenship? Philippians 3:13-14 Stand at the Bow! We ought not to live in the past. No matter how full of blessing and good it is, we may not stay in it. Life is before us, never behind us. If we linger, we shall lose our place, and our fellows will press on and leave us.The best way to live for to-morrow is to do well the work of to-day; yet the future should always exert an inspiring influence upon us. In the time of discouragement it is the hope of overcoming that brings cheer. When we are in sorrow it is the promise of comfort that sustains us. In the task-work of school days it is the thought of what manhood will bring of achievement that inspires the student. In the struggles of earthly life it is the larger life of heaven that keeps the heart brave and strong. We should let the past go, with all it contains of memory and of good, while we turn ever to the future, with hope and courage. The best ever lies before us if we are truly following Christ. Life is a mountain climb, and we never get to the summit in this world. Paul tells us that he has not yet reached the end of his race. But he is pressing on with inexhaustible energy and enthusiasm. He forgets the things, which are behind. Some people live altogether in their past. They tell you over and over of the great things they have done. Paul had done a great many brave and noble things, but he forgot them all, never talked about them, did not take time to record them - he was so eager to get on and to attain loftier heights, to do greater things, to win greater victories. Before him lay the goal with the prize of life, and to this he pressed continually. It is a noble picture, this old apostle, at an age when many men are talking about "the dead line," still reaching forward and holding eyes fixed on the real goal of his life far ahead. We ought not to lose the lesson. Philippians 3:1-11 Whom Will You Trust? Philippians 3:1-11 Who Gets The Credit?? Philippians 3:7: What’s The Cost? Philippians 3:8: Religion Or Relationship? Philippians 3:13-14: What Is My Purpose? 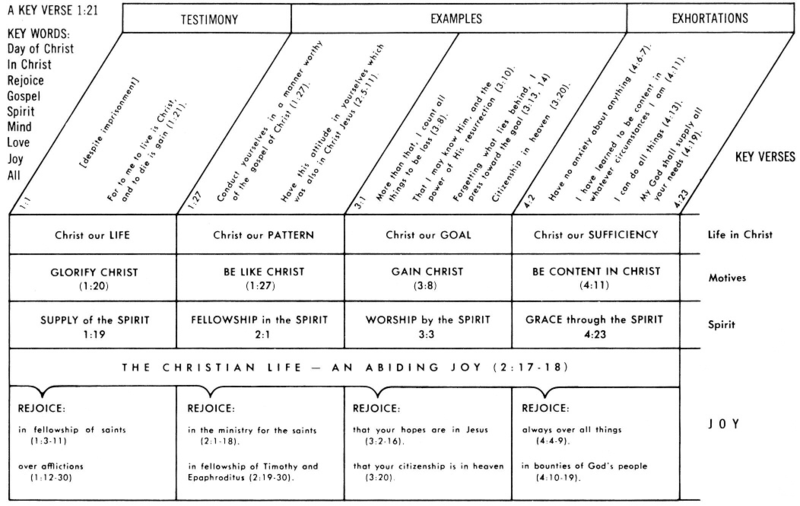 Philippians 3:13-14: Seeing Or Remembering? Philippians 3:13-14: Look Back or Ahead? Philippians 3:17-19; 4:10-13 Do We Have Enough? Philippians 3:20-21: We Will Be Like Him! IN PHILIPPIANS - Paul also discusses the historical fact of Christ’s resurrection and its crucial importance to living a full and enjoyable Christian life in his Epistle to the Philippians. Thus in Philippians 3:9-11 Paul assumes the historical validity of Christ’s literal, bodily resurrection from the grave. This is a truth he affirms distinctly elsewhere. 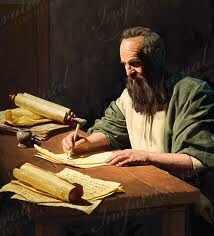 Indeed, Paul gave formal testimony to having personally met the risen Lord Jesus (Acts 22:6-11; 24:15, 21; 26:15-23). He made Christ’s Resurrection the central theme of many of his sermons (e.g., Acts 13:29-33; 17:29-31). He explained to the early Christians that Christ’s resurrection was not only a historical fact but integral to the believer’s salvation (Ro 5:8-10; 1 Cor. 15:1-19). Elsewhere Paul taught that Christ’s resurrection is the full proof and assurance of the believer’s own resurrection (Rom. 8:11; 1 Cor. 15:20-51). And not only that, but Paul declared that the risen Christ has taken up His abode in the believer in vital, spiritual, organic union with him (Gal. 2:20; Col. 1:18-20, 27-28). Accordingly, the believer has a ready source for living an abundant life in Christ with great power and personal godliness (Ro 6:5-14). Like Paul, Christians should also have a deep concern that all may come to know the crucified and risen Christ as Savior and Lord (2 Cor. 5:14-21). Philippians 3:20-21: What Is Heaven Like? Philippians 3:10 Do You Know Him? Philippians 3:1 Daily Devotions- Rejoice! Philippians 3:1-11 Would the Real Covenant Community Please Stand Up? Justification and Merit: Why Does God Count Me as Righteous? Philippians 3:6 - Blameless Before God"
Note: The some of the links may not work. I do not agree with all of Rick Warren's theology, but most of these devotionals are orthodox. If you encounter one that you think teaches aberrant doctrine, please email me at webmaster and I will check and remove. Thank you for your assistance. Philippians 3:1-11: Beware of the Dogs!